At the time of writing this article, there is close to a terabyte of data on Axis History regarding digitized, available rolls of microfilm. 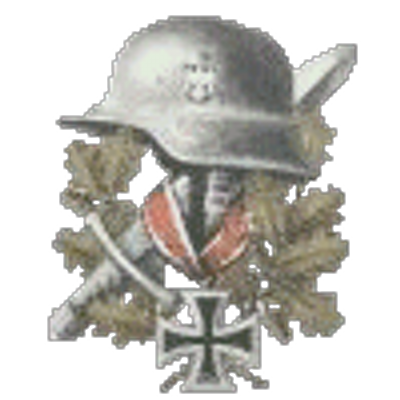 Many of these detail World War II, including armies, panzer groups, divisions, Waffen S.S. formations, and occupational forces. Of these, the most important digitized resource that may help some is the collection A3343 – SS Officer Document Center. Click here to see the overview of all currently digitized collections. To view all posts of this nature on Axis History, see their Research Help – Archives topic. As a genealogist, I am highly interested in obtaining digitized copies of the rolls of microfilm. Collections that may benefit others with similar goals in unlocking their family history should look into the S.S. and S.A. files which include party censuses and membership applications, and the Race and Resettlement administrative documents which detail everything from marriage to other ancestry-related papers. Remember: Nazi Germany was big on ideas of creating a superior race and genetics. As such, the Nazis kept very detailed records to this end. Given the destruction of primary sources, these documents can be utilized to fill in the gaps and answer any lingering questions. My thoughts are this: if one were able to obtain the list of names of S.S. officers, they could hypothetically trace back their lineages through the provided Ahnentafel documents, index the people included in the trees, and cross-reference individuals who are related further back. This can only happen one step at a time. Right now, the most pressing matter is having the index of names photographed so other researchers can find the roll of microfilm that interests them. Slowly, researchers could then request digital copies or go to the archives in person to make copies themselves. This seemingly hidden collection needs to garner more attention within the German genealogical community for its relevance in restoring large chunks of history that have been wiped away by war.